Nick joined Clemenger BBDO Melbourne in October 2015, and in January 2018 took on the national role of CEO for Clemenger BBDO in Australia. Since joining the agency, Nick’s partnership with, James McGrath, Creative Chairman, has seen the agency go from strength to strength, by building on its foundation of a strong creative & strategic reputation while adding capability and significantly evolving the agency model. 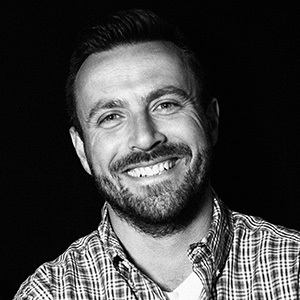 Prior to joining Clemenger, Nick spent five years leading the team at Colenso BBDO in New Zealand, where the agency jumped from being the 33rd ranked creative agency globally to being the only agency in the world to be ranked in the top ﬁve, four years in a row, and the number one creative agency in the world in 2013 & 2016. In 2014 WARC ranked Colenso as the Smartest Agency in the World for coming top in the global effectiveness index. Before joining the BBDO network Nick had a mixture of local and regional roles based in London, Sydney, Los Angeles and New York, working across some of the world’s largest and most effective businesses – Mars, Apple, Sony PlayStation, Adidas, Absolut Vodka and Anheuser-Busch.